Cut the ribbon to 11 inches. 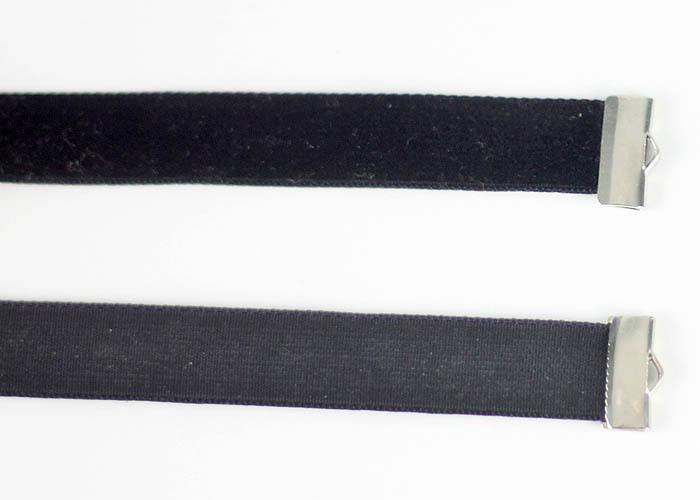 Place the end of the ribbon inside the crimp closure. 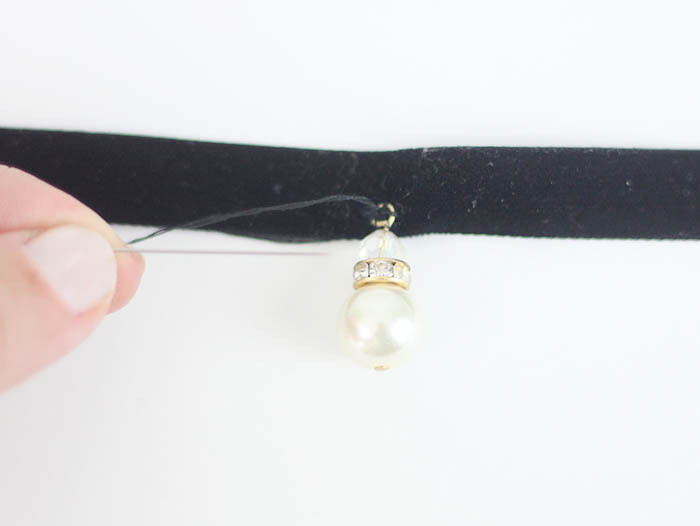 Gently but firmly squeeze down the clasp with the jewelry pliers. You may have to do this a few times to get the closure to shut completely. Add the closure to the other end of the velvet ribbon. 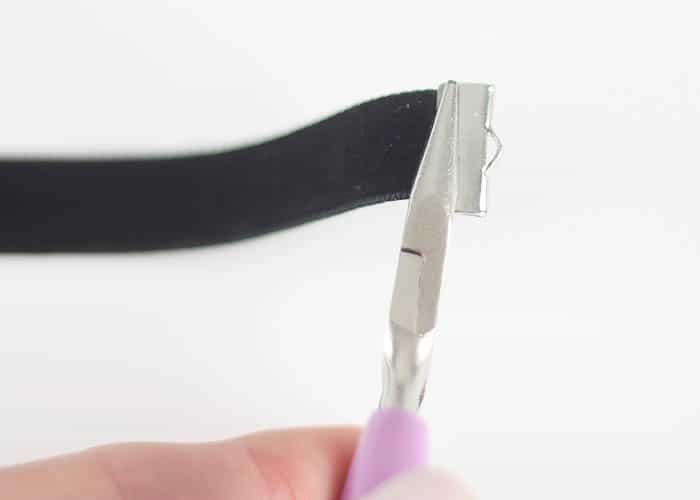 Using the jewelry pliers, open the jump ring. 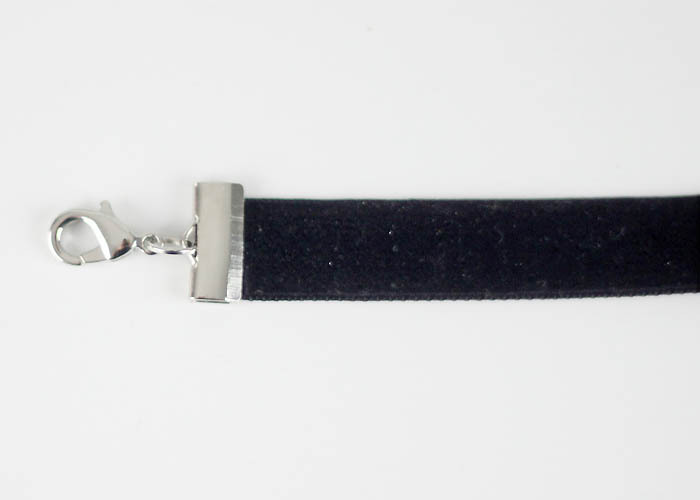 Insert the ring through the hole on the lobster clasp and through the loop on the end of the crimp closure. 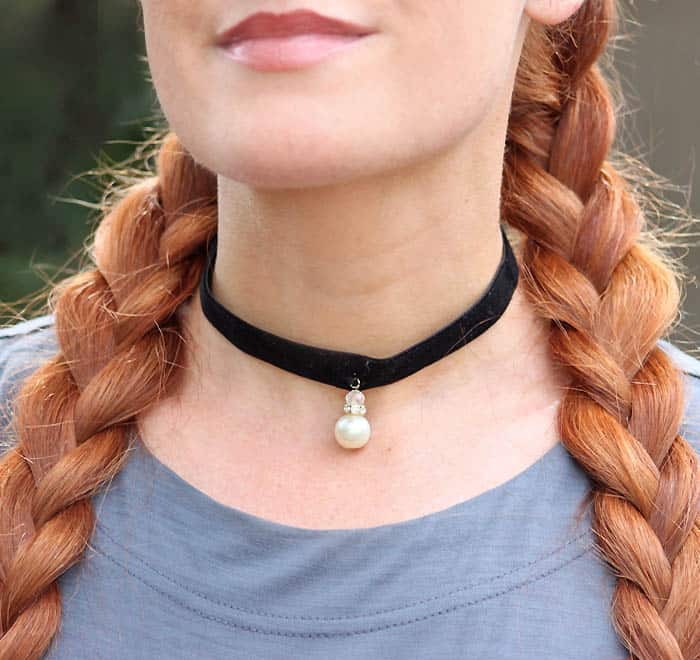 Using the pliers, squeeze the jump ring closed, connecting the lobster clasp to the choker. 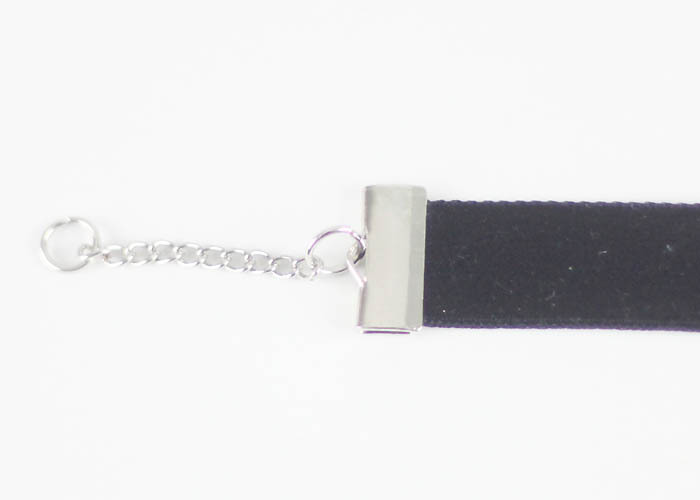 Open a jump ring with the pliers and inset it through the end of the chain. Close the jump ring. 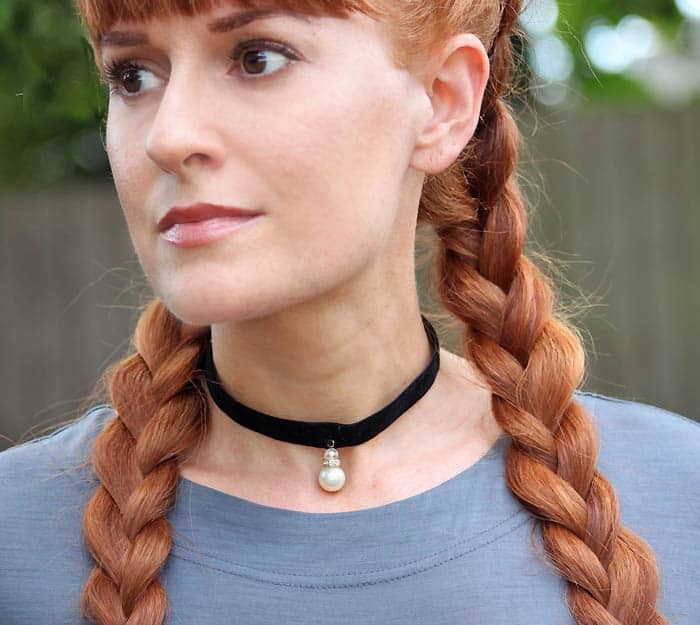 In the middle of the choker, sew on the charm.